The General Assembly of the Church of Scotland has unanimously backed a landmark agreement to enter into an historic ecumenical partnership with the Church of England. The Columba Declaration represents a "significant step" between the two denominations and will open up new future possibilities of closer working together to develop God's Church. The Archbishop of Canterbury the Most Rev Justin Welby made history today when he took part in a debate on the issue at the General Assembly Hall on the Mound in Edinburgh. He told commissioners that he strongly supported the Columba Declaration which has been discussed for the last 15 years. Under the terms of the agreement,both denominations would welcome one another's members into congregations and ordained ministers would be allowed to exercise ministry within the existing discipline of each church, though only within England and continental Europe. 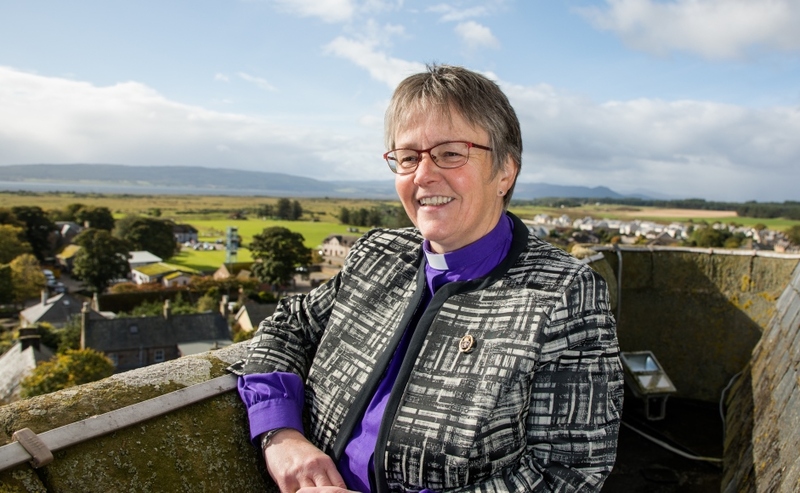 Speaking after the vote, The Rev Alison McDonald, Convener of the Church of Scotland's Ecumenical Relations Committee, said: "I am delighted that the General Assembly has accepted the report and the Columba Declaration this morning. "It is the end of what has been a very long process up to now, but it is the beginning of looking forward to new work examining how we will implement the Columba Declaration." Welcoming the decision, the Archbishop of Canterbury said: "I am absolutely delighted with the result and hugely grateful for the support of the General Assembly. "It was a huge privilege to address commissioners and it was one of those moments when you think 'I cannot actually believe I am doing this'". The Archbishop said the most significant part of the Columba Declaration was both denominations formally recognising each other as Churches. "It is a huge step and once you have done that there is a massive impulse to develop it into a deeper and deeper relationship, not only in the UK but internationally with Presbyterian churches," he added. "The key things are common witness and common testimony in the face of the challenges the country is facing. "People come to God's church to meet the grace shown through God's people. "That is the judgement on us if we do not work together." Under the terms of the Columba Declaration, the Church of Scotland and Church of England will pray for and with one another, explore opportunities for ecumenical partnerships in England and continental Europe and identify theological, social, political and ethical issues that arise and be prepared to allocate resources to joint initiatives for addressing them. In 2015, the churches worked together to help establish the Churches' Mutual Credit Unionas a response to concerns that low-income families needed access to low-cost banking and loans. And that is just one of the areas where the two churches already are collaborating. Addressing the General Assembly, Ms McDonald said the 'Growth in Communion, Partnership in Mission' report asks people to consider their understanding of borders in the context of faith. "For while we minister and witness within national borders and often define ourselves by denominational ones, we are surely called to reach across them as people of the way," she added. "To rejoice that we do not take a solitary road but one which is shared by many; to explore and acknowledge the common ground of Christian faith on which we stand. ;"Although we have the character of a national church, serving the people of Scotland, the Church of Scotland has never understood its part in the mission of God as solely contained within Scotland. "We have sought and still seek to be partners in mission both within and beyond this land." Ms McDonald said the Kirk had build up partnerships not only within the Reformed Church family but across denominations. "So while within Scotland our Anglican neighbour is the Scottish Episcopal Church, in England, and mainland Europe, places where the Church of Scotland has congregations, it is the Church of England," she added. "The Declaration gives us the opportunity to recognise one another formally through a series of acknowledgements. "First to prayer and secondly, to welcome one another's members into worship and congregation life where that is their desire. "This is not to discourage people from joining a home denomination but recognises the fact that for geographical or family reasons people do choose to worship in the parish church. "Thirdly, to continue to explore opportunities for congregational partnership where that is desired locally and where we share space, namely in England and mainland Europe, and along with that the opportunities for ministry in these places, opened up by the Ecumenical Relations Measure." In his address to commissioners, the Archbishop of Canterbury said the two denominations were united in witness to Christ as churches within the one country of the United Kingdom. He added that they were united politically, historically, economically, globally and culturally. The Archbishop said: "We are united in witness to Christ as churches called to share the gospel with the whole world, as we have done in the past overseas, now facing common challenges together. "The report is about growing in communion through and for partnership in mission, taking us back to the roots of the ecumenical movement. "But more than that is about the call of Jesus Christ to visible unity, so that he may be known. "We know there are serious issues to be faced in our relation with you around recognition and reconciliation of ministries. "We know too that while in facing common challenges we have so much we can learn from one another, and so much we can do together." The Church of Scotland maintains strong ecumenical relations with the Scottish Episcopal Church, which last week were further enhanced with the agreement of a joint working group "Our Common Calling" which commits the churches to work together in pursuit of common goals.